Windsor-Essex girls are getting a chance to weld at a summer camp at St. Clair College this week. The Canadian Welding Association Foundation is hosting the camp to introduce female students from ages 12-15 to the trade. The CWA Foundation hosted its first pilot welding camp in the summer of 2014 in Edmonton and is now introducing the camps to all provinces across Canada for the months of June, July, and August. This summer the CWA Foundation will be funding over 35 camps in almost every province across Canada. The Mind Over Metal Camp for Girls from July 25-29 at St. Clair College is free for participants. It’s funded by the CWA Foundation. Robert Chittim, chair of the School of Skilled Trades at St. Clair College says welding skills are a critical skill for a wide variety of trades and career paths. 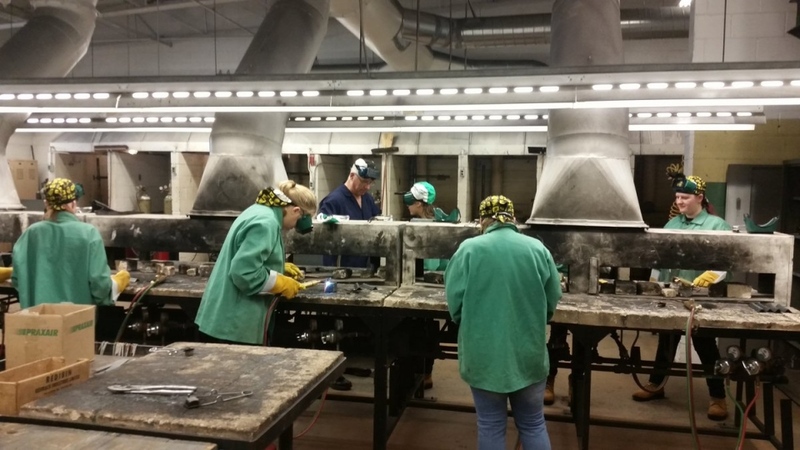 “Early exposure to welding and all of the exciting opportunities for those entering or beginning high school is critical for students to make informed decisions about apprenticeship and college education,” says Chittim. Once the theoretical part is completed, the students will practice on the welding simulator and then have fun with real arcs and sparks while they create their very own projects like cowbells, and business card holders.